Embrace your inner-Indiana Jones and dive into this rich, compelling book. Ceram tells the history of Western archaeology through the lives of its pioneers. From the academic gentleman-adventurer, to the conquering general, these pages are full of unforgettable characters, as well as some of history's greatest discoveries. C. W. Ceram (January 20, 1915 – April 12, 1972) was a German journalist and author. 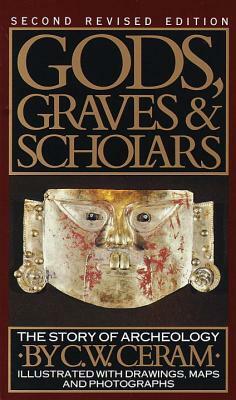 His most notable work, Gods, Graves and Scholars: The Story of Archaelogy – was published in 28 languages and had over 5 million copies in circulation. The Ceram Prize in archaeology is posthumously named after him.